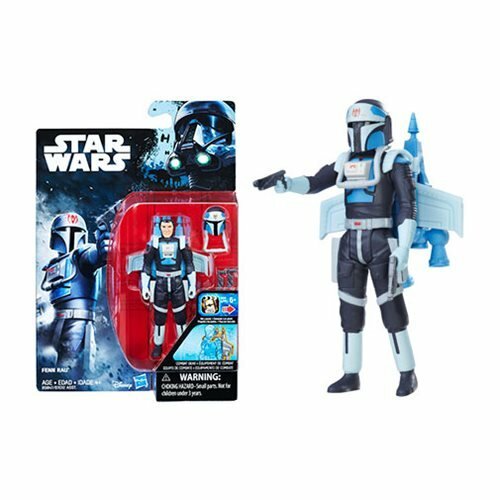 Commentary: Available very briefly in 2014, the first take on this Rebel sold out quickly - and had a helmet deco variant which I'm still looking for to this day. 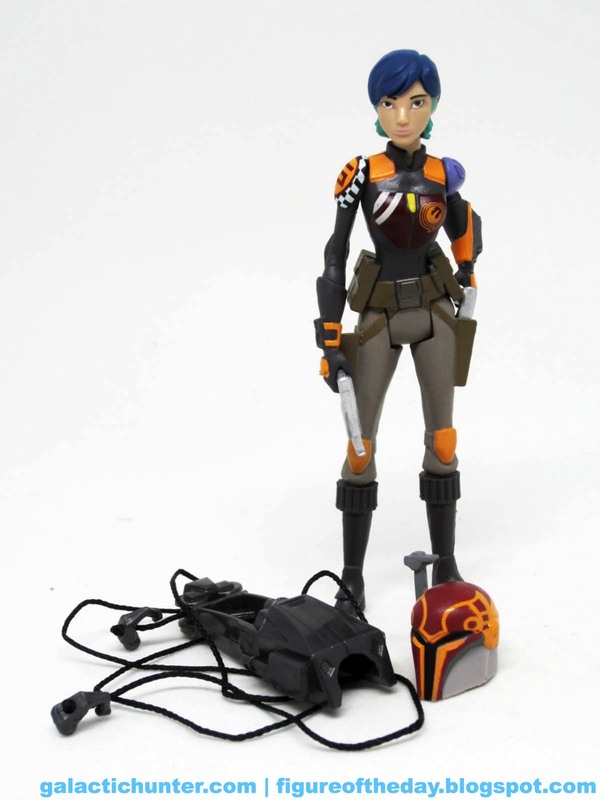 The new Sabine Wren debuted the same week as the season three version of her costume. The figure is based on the season two version. Ah well. It's still cool! You'll still want it. 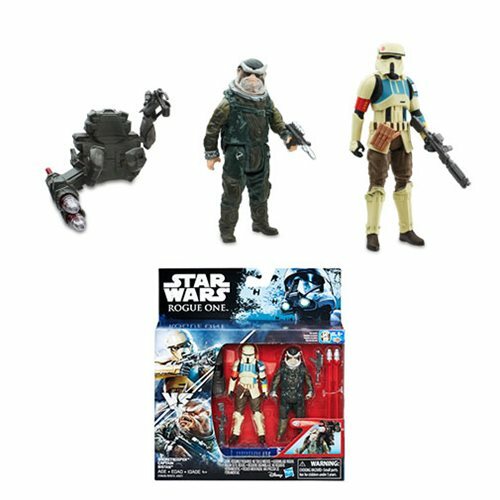 Packed at one per case, along with Stormtrooper Kanan, I'm going to bet this is one you're going to want to snap up first. 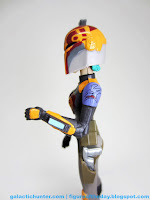 Sabine Wren now stands above her previous figure. 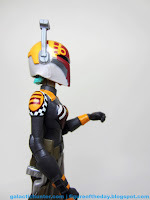 Her colorful removable helmet makes her even taller. 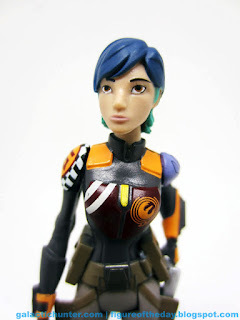 She still has only five points of articulation, but sports a much more dynamic pose - this is sort of in line with what we got in 2002 with the "Saga" line. Her right arm is posed down, casually. Her left arm looks like it was posed to grip her blaster while it's still in her holster - very cool. 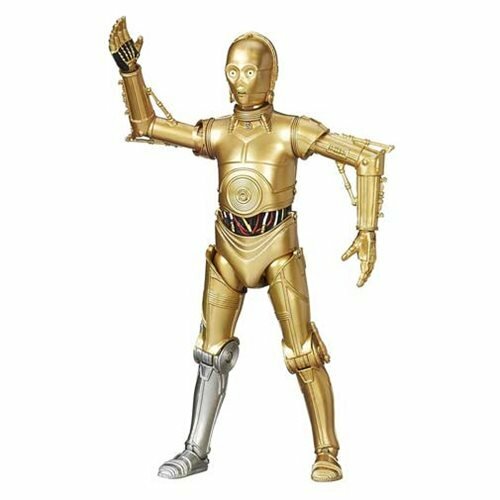 It seems that this is a "collector" figure, mostly due to the character and deco, but the pose is very non-traditional compared to the rest of this line so far. She's more like a tiny statue developed on Hasbro's budget, even though her joints all work exquisitely. When it comes to deco, the level of detail is much sharper than there are more paint applications than her previous outing. They also changed her skin color, so she's not another white girl. The hair fades form a dark bluish black color to the green tips, and the face is painted quite well. Her lips and eyes don't quite pop like the art on the show, but she more or less looks like she should with the "5" on her shoulder, painted checkers on the shoulder armor, armor on the opposite shoulder painted with a small creature, a screen on her gauntlet, painted knee pads and gauntlets... they did a nice job. They also didn't paint numerous elements, like the spots on the front of her boots and her elbow pads. This is most likely due to making sure the figure comes in under budget, because the extra deco on the hair and helmet and everywhere else doesn't come cheap. Maybe she stole a few pennies from the Stormtrooper and K-2SO. 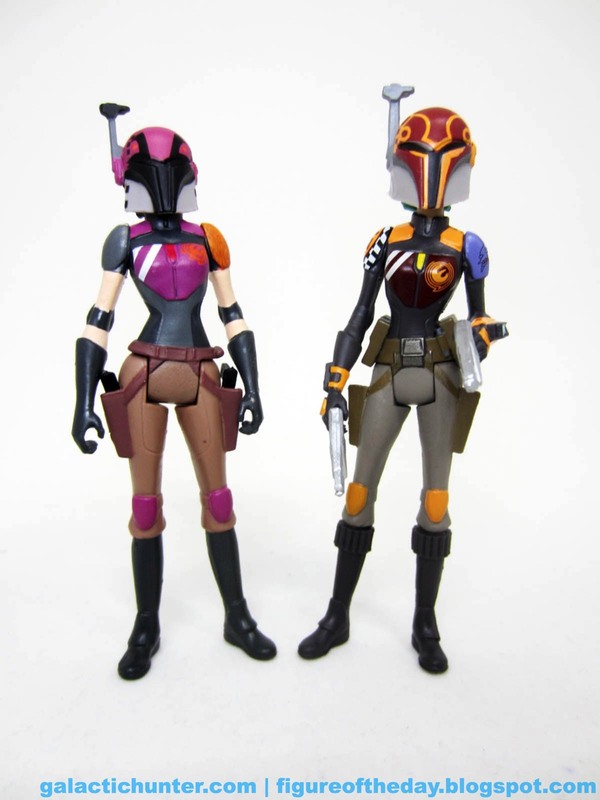 But I digress - they did a nice job making a better figure with functioning holsters than last time. I'm sure customizers with a magnifying glass could improve on her considerably, but Hasbro might find this a challenge even in The Black Series given just how much is going on here. 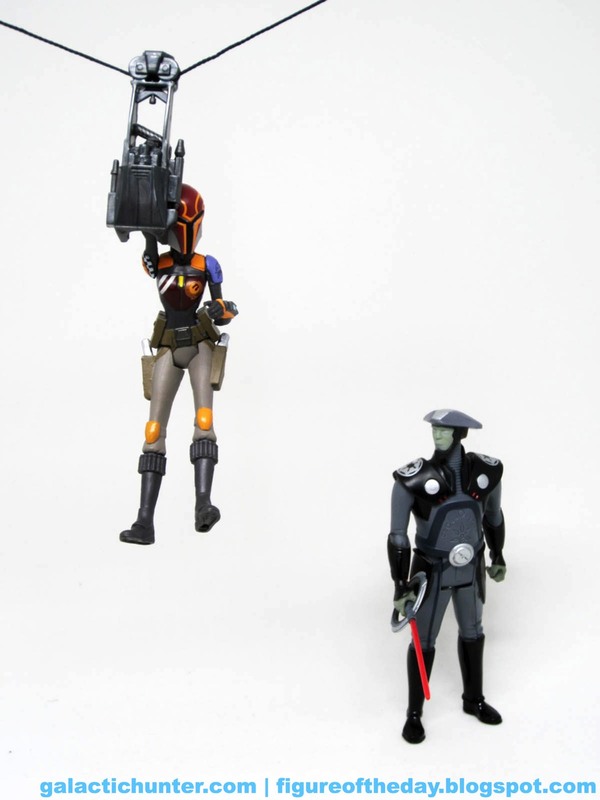 Both silver blasters fit in her hands and holsters without much fuss, but the thing Hasbro wants you to pay attention to is the "zipline" accessory. It's OK - thematically appropriate, interesting, and creatively non-lethal in a line where "Wars" are the theme and 50% of the title. 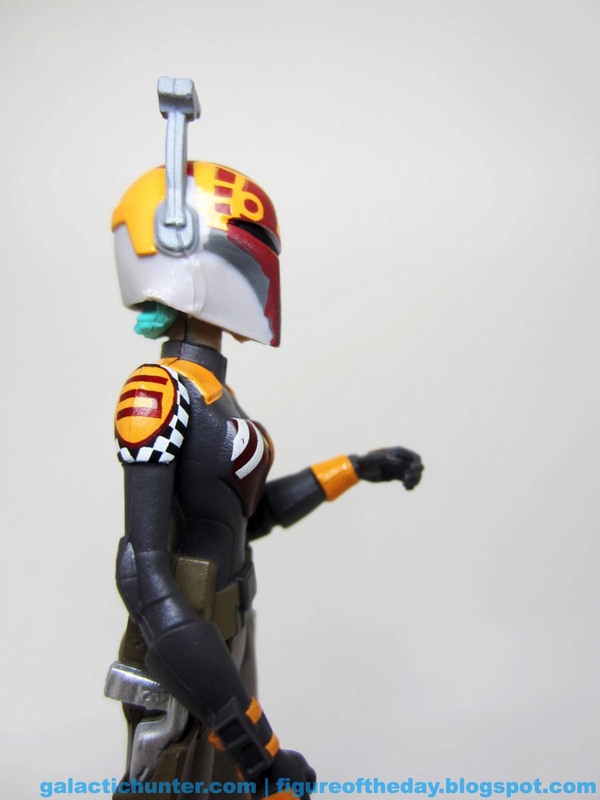 The wrist bit is modeled after Boba Fett's gauntlet, with a string going through it sporting hooks on either end. You can attach them to something, and she can slide down it to adventure or safety or whatever you so choose. It's OK. I like that it works, that it fits, and that she can carry it without tipping over. I also love that it's recognizably Star Wars-y, which The Force Awakens' Combine weapons largely were not. "It's a gun!" "It's a claw!" Who cares? Giving Sabine a functional (and fun) accessory that looks like it belongs in this particular franchise was a good move. I don't know if kids will find her to enjoy it, but I hope so - it's worthwhile. And splendid. 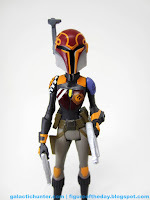 Get yourself Sabine. 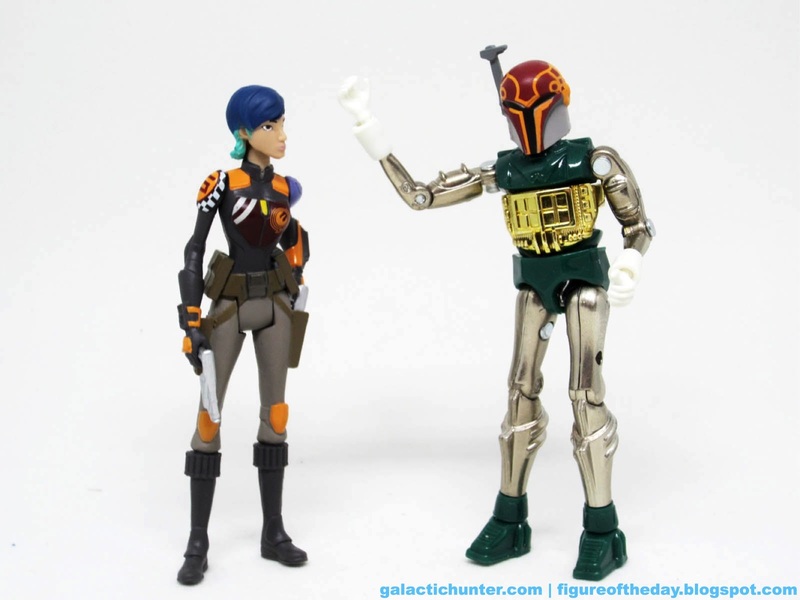 It's a girl figure, it's from a popular and unmerchandised facet of your hobby, and it's a Mandalorian. Your skipping this figure for any reason other than budget means you are making a bad move. 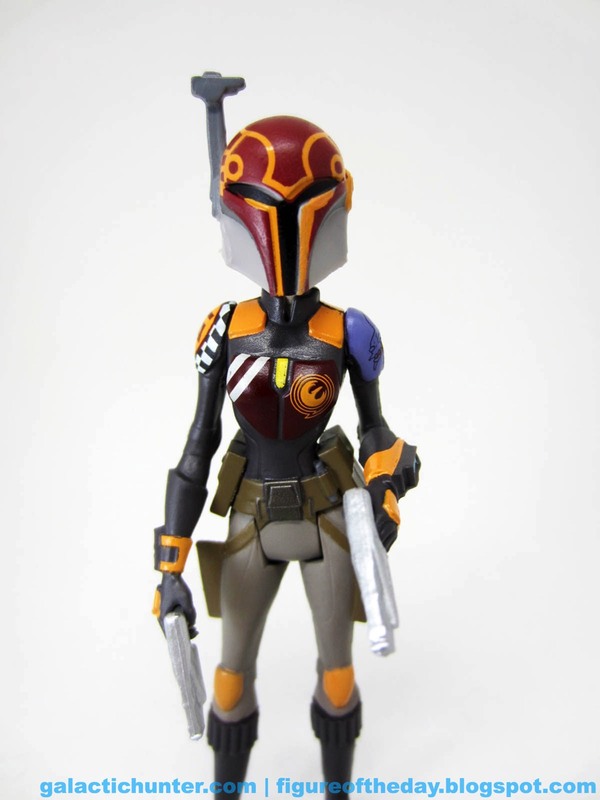 This is the best 3 3/4-inch Sabine yet and by virtue of being wave 1 in a launch line, you might actually find her this time. Do so. Hopefully Hasbro can do a Season 3 version and a super-articulated one down the road, but I'm not holding my breath. 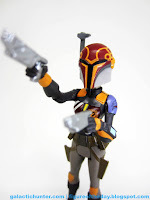 The Clone Wars toys petered out long before the show, much to my disappointment. 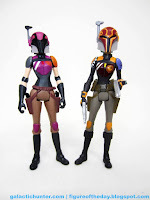 Rebels has been delivering a pretty good (if small) selection of wonderful vehicles and very good figures, I hope they continue after the show's end. I mean, who among us wouldn't want Hondo Ohnaka, a couple of Ugnaughts, or even another plain Stormtrooper or six?